The Minister of Tourism, Richard Sealy, has said recently that the Bajan government will be setting up a Barbados Tourism and Marketing office in Munich which will be headed by a new Director of Tourism for Europe. Exciting times! The main purpose of the new partnership and initiative is to build on the number of flights that come from the continent which can only be a good thing. The Minister is hopeful that the German people could become an important source of tourism for Barbados. With the fourth strongest economy in the world, Germany is an obvious choice to start building the European market. It is all part of a wider diversification process for the Tourism department in Barbados. The Bajan government have been working to improve the accommodation stock in the country as well as restructuring institutions to make Barbados more tourism friendly. There have also been advancements in France of late with a new airlift being secured, and it is in the pipeline that an additional flight will be added from London Gatwick in winter 2017. The Barbados Statistics Service found that in 2015 the majority of visitors were female (52.4%) and were aged between 15 and 44 (41.3%). By far the biggest visiting nation is the UK, at around 22%, followed by the USA at around 12%. Canada and other CARICOM countries come in 3rd and 4th, and other European countries and Germany are lagging behind hence the bringing forth of this new initiative. Stay over arrivals from Europe actually dropped by almost 13% with the UK and USA numbers increasing from 2014. December is still by far the most popular month to travel, with November to March being very popular. There is also a spike in July too. 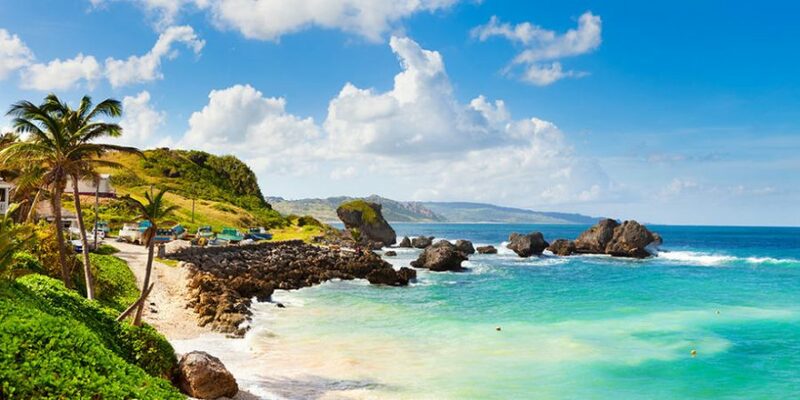 82% of visitors were there for recreational purposes which does show that Barbados is a hot holiday destination, and we can’t say we are surprised! The stunning island is a hub of vibrancy and culture. It has been independent for 50 years now, and its cultural traditions are running strong. The people are warm and welcoming and passionate about their history and traditions and love to share. 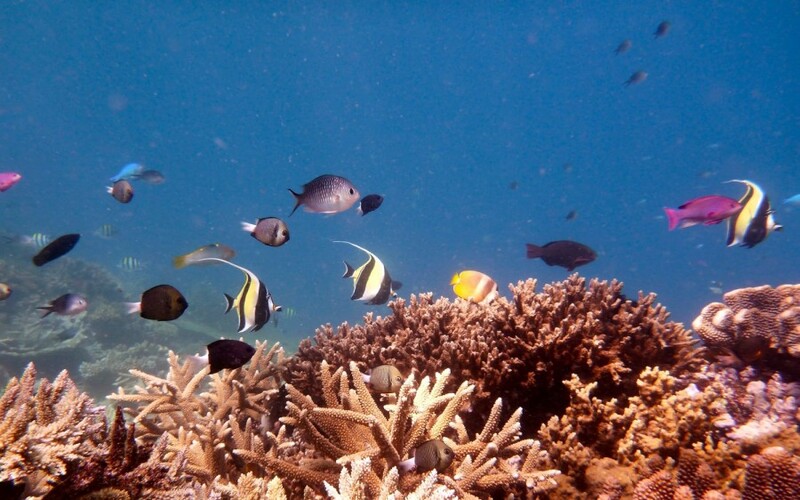 There are 70 miles of crystal clear azure waters for you to enjoy by whichever means you find preferable. Whether it is sat on the beach with rum in hand admiring the view as the sun bounces off the surface, through some sort of water sports, whilst practicing beach yoga, or under the waves with a magnificent array of sea creatures. One of our favourite past times here as Island Spirit is spending some quality time with the diverse selection of marine life including lots of different species of fish, some of the world’s most impressive sea turtles, and many intriguing ship wrecks too! Bajan food is to die for. It is a mouth-watering blend of African, European, West Indian, and traditional Caribbean tastes and flavours. It really is a unique dining experience and some of the best food you can eat in Barbados will be in the quieter lesser known locals’ spots (we can show you the way). 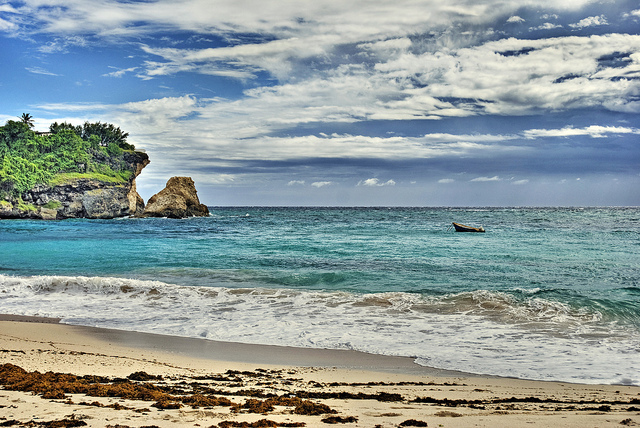 There is a thriving population of hawksbill and leatherback turtles in Barbados, and they are one of the main draws for choosing it as your holiday destination. If you time it right, you may be lucky enough to watch the eggs hatch and see the new-borns making their way down to the ocean. Big thank you to the Bajan government for taking this big step in reaching out to Europe, Island Spirit can’t wait to welcome more European friends onto the island! View our Barbaods green adventure holidays here, come join us responsibly in the caribbean!